Stance Socks launched in 2009 by Jeff Kearl, John Wilson, Aaron Hennings, Ryan Kingman and Taylor Shupe. These founders saw a gap in the market for a particular fashion garment that seemed to be overlooked by the rest of the industry, socks! Embracing the mantra ‘The Uncommon Thread,’ they carved there own niche and from this they have since built a global business that is known for numerous collaborations with artists, brands, sports teams and musicians. A notable collaboration was their NBA 2015-2016 deal and their women’s line that was launched in conjunction with pop star Rhianna. With a huge list of athletes, artists, musicians, models and designers behind them, Stance Socks have a big name for themselves and continue to expand into new product segments such as underwear and outdoor accessories. 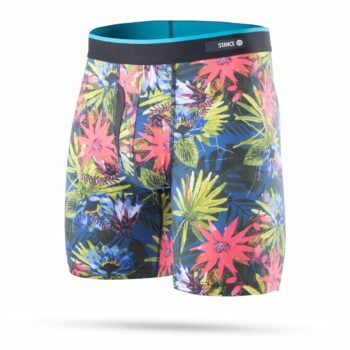 The Stance Leopard Camo Boxer Briefs are a premium fit boxer brief, featuring Stance Leopard Camo pattern throughout. Stance branded woven labels on the hem. Made from 90% polyester, 10% elastane. Fitter boxer brief style, Feather-Seam™ construction with a fly opening on the front. Sizing: S =28" - 30" waist / M = 32" - 34" waist / L = 36" - 38" waist / XL = 40" - 42" waist. 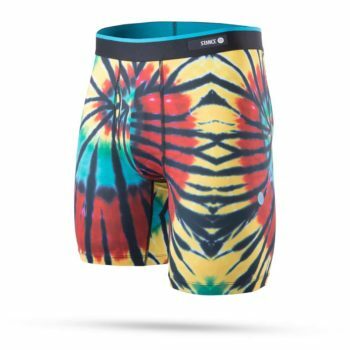 The Stance Jah Mon Boxer Briefs are a premium fit boxer brief, featuring Stance Jah Mon pattern throughout. 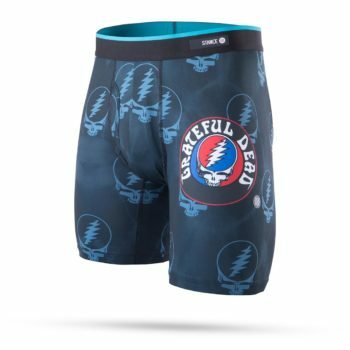 The Stance x Grateful Dead Boxer Briefs are a premium fit boxer brief, featuring Grateful Dead pattern throughout and a Grateful Dead logo to the front left leg. 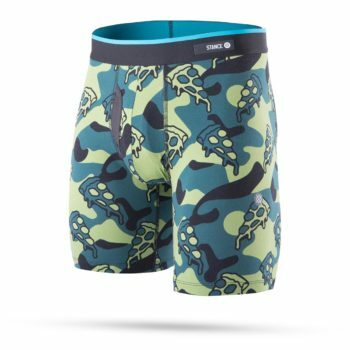 The Stance Pizza War Boxer Briefs are a premium fit boxer brief, featuring Stance Pizza War pattern throughout. Made from 91% cotton, 9% elastane. 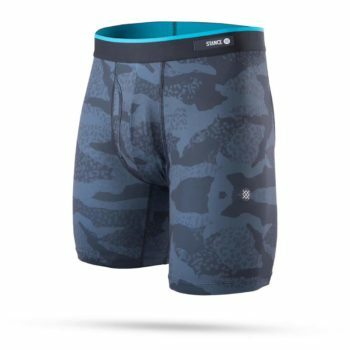 The Stance Narcosy Boxer Briefs are a premium fit boxer brief, featuring Stance Narcosy pattern throughout. The Stance Joven socks are quality build socks, featuring a dual stripe at the top of the neck. 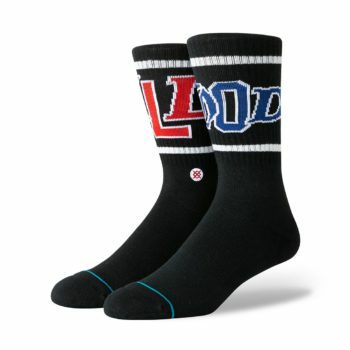 Stance branded embroidered logo on the forefoot. Made from 83% Combed Cotton, 8% Polyester, 7% Nylon, 2% Elastane. Seamless toe closure and reinforced heel, toe and arch support for added protection and maximising comfort. Athletic ribbed and terry loop in forefoot, heel and toe for medium cushioning. The Stance Yes I Can socks are quality build socks, featuring a printed Stance Yes I Can pattern throughout. 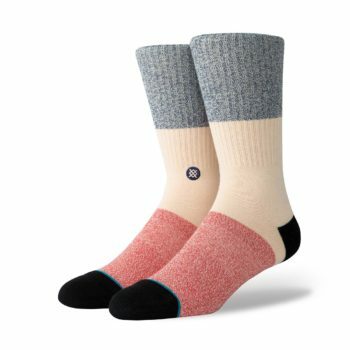 Part of Stance's Performance sock collection, featuring slightly thicker and more durable stitching in the shins and heels. Made from 77% combed cotton, 19% polyester, 2% elastane, 2% nylon. 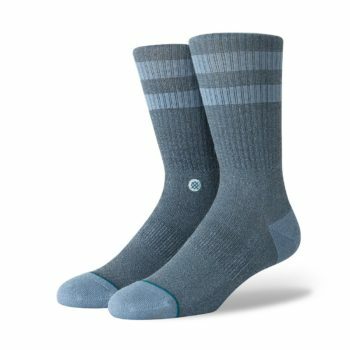 The Stance Thirri socks are quality build socks, featuring a Stance Thirri pattern throughout. Made from 42% combed cotton, 24% micro modal, 19% polyester, 11% azion, 2% elastane, 2% nylon. 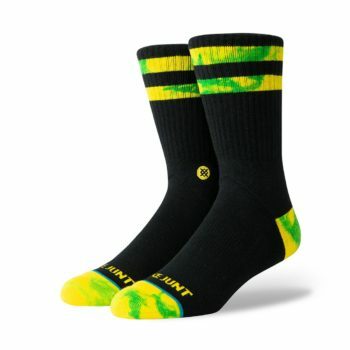 The Stance Sssteven socks are quality build socks, featuring a Stance Sssteven graphic throughout. Made from 72% polyester, 24% combed cotton, 2% nylon, 2% elastane. 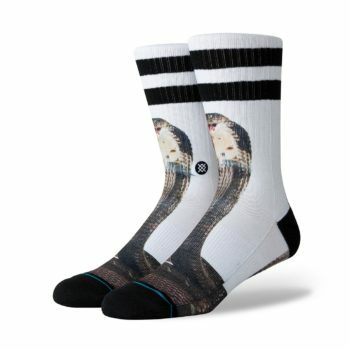 The Stance x Shake Junt socks are quality build socks, featuring a woven duel patterned strips at the top of the neck and a matching pattern toe featuring Shake Junt woven branding above. Made from 79% combed cotton, 19% nylon, 2% elastane. The Stance Sinharaja socks are quality build socks, featuring a Stance Sinharaja pattern throughout. Made from 77% polyester 19% combed cotton 2% nylon 2% elastane. The Stance Neopolitan socks are quality build socks, featuring a woven Stance Neopolitan pattern throughout. Made from 33% combed cotton, 31% micro modal, 19% polyester, 13% seacell, 2% elastane, 2% nylon. The Stance Munga socks are quality build socks, featuring a woven Stance Munga pattern throughout. The Stance Messaged socks are quality build socks, featuring a woven Stance Messaged graphic on the neck. Made from 69% combed cotton, 19% polyester, 10% nylon, 2% elastane. 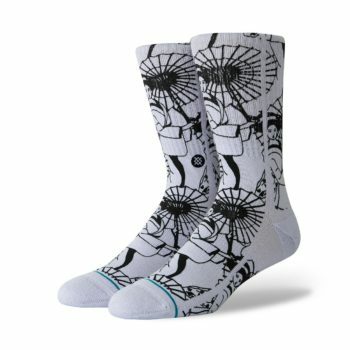 The Stance Kimono socks are quality build socks, featuring a Stance Kimono graphic throughout. Made from 77% combed cotton, 2% nylon, 19% polyester, 2% elastane.